As a US-based business, you’re probably already familiar with the services a Professional Employer Organization (PEO) can offer. With their many benefits, it’s no surprise that PEOs are becoming increasingly popular in the States. 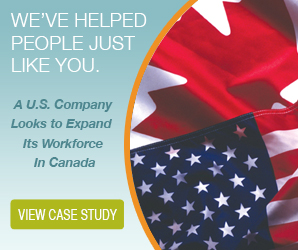 For a US-based business wishing to hire Canadian workers to service their Canadian clients, the benefits of a Professional Employer Organization are even greater. If you’re looking for a Professional Employer Organization in Canada, you should be aware that they operate under a different name. In Canada, a PEO operates under the title of Employer of Record (EOR). An EOR offers the same services and benefits as a PEO, along with a number of services specific to businesses trying to establish a Canadian presence. For US-based businesses, these professional employers are especially helpful when trying to service clients north of the border but not looking to establish a bricks and mortar location in Canada. 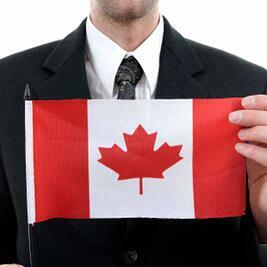 When hiring in Canada, there are some major obstacles that must first be overcome. There’s the difference in pay structures, benefits, employment standards and of course the liability of not knowing how another country operates when it comes to employment. These obstacles are so confusing that many US businesses simply give up on their expansion plans. With the help of an EOR, you can realize your dream of a Canadian expansion without having to deal with any of these obstacles directly. An EOR, like The Payroll Edge, can provide you with all of the services you need to hire your Canadian staff all the while being completely legal and in compliance with Canadian employment law. Since they already operate in Canada, they already have all of the necessary infrastructure and accounts to begin hiring and paying your Canadian employees. Setting all of this up on your own is an expensive and time-consuming process that leaves a lot of room for errors that will add to the time and cost of your expansion. As the employer of record for your Canadian workforce, they take complete care of all of the above allowing you to service your Canadian clients seamlessly. As a business owner, you probably have a “can-do” attitude toward running your company. While that attitude is admirable, it can be misplaced if it negatively impacts your business. Trying to establish a Canadian presence on your own opens you up to a lot of costly mistakes. If you make any mistakes during the expansion, it will cost time and money to fix them. If you make any mistakes after the expansion, you may be on the hook for fines, back payments, and even criminal actions. With the experienced, professional help of an EOR, you can have your Canadian workforce without the red tape of having a business presence north of the border. A Canadian EOR is where you will find a Professional Employer Organization in Canada.